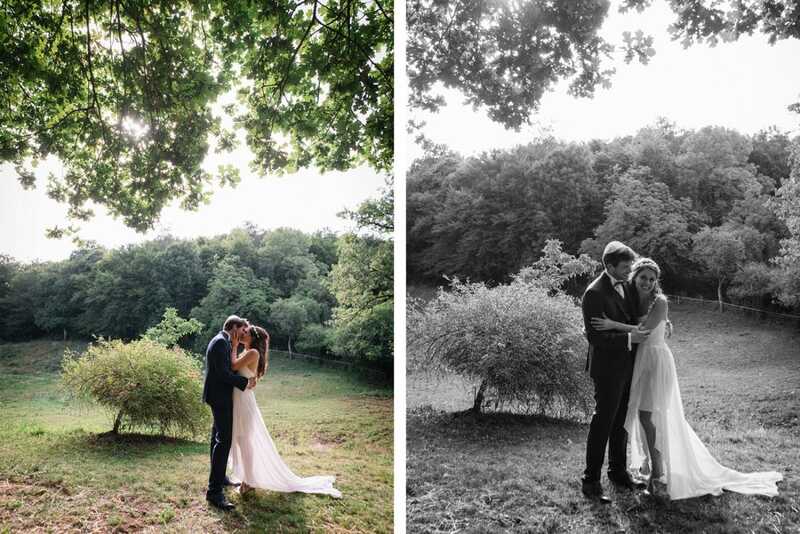 Olinka & Raphael’s wedding was the first one I’ve ever photographed in another State, and I loved it! 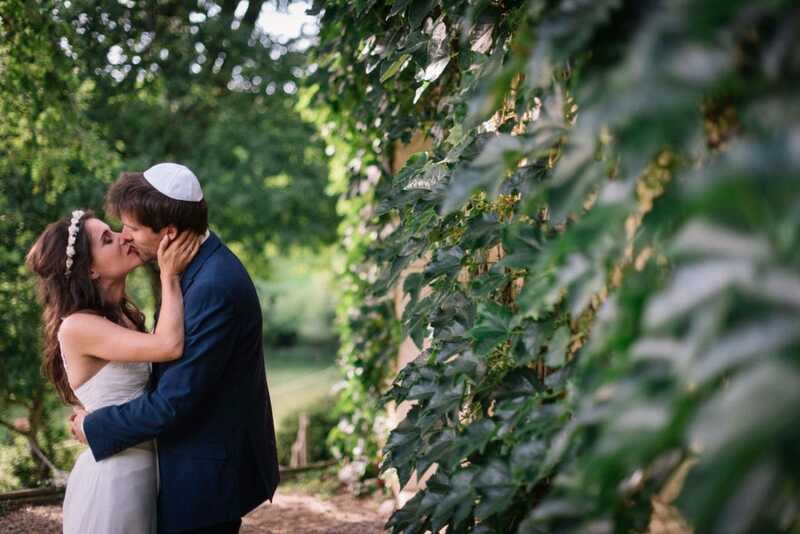 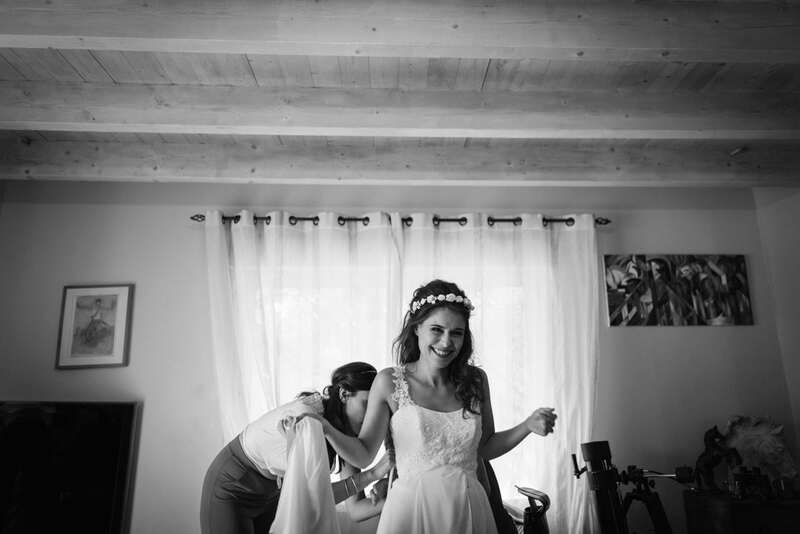 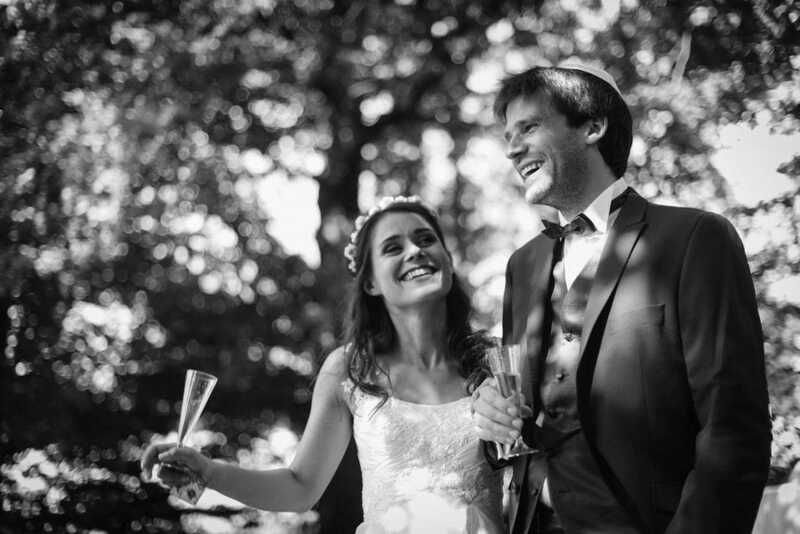 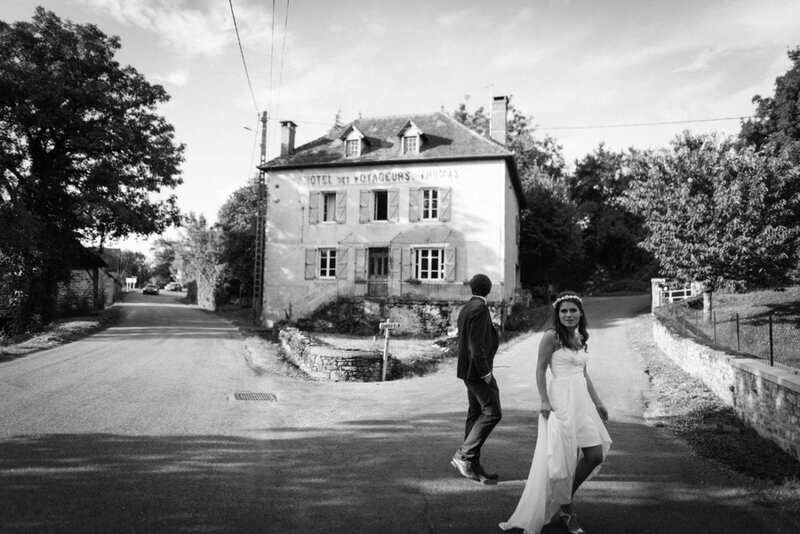 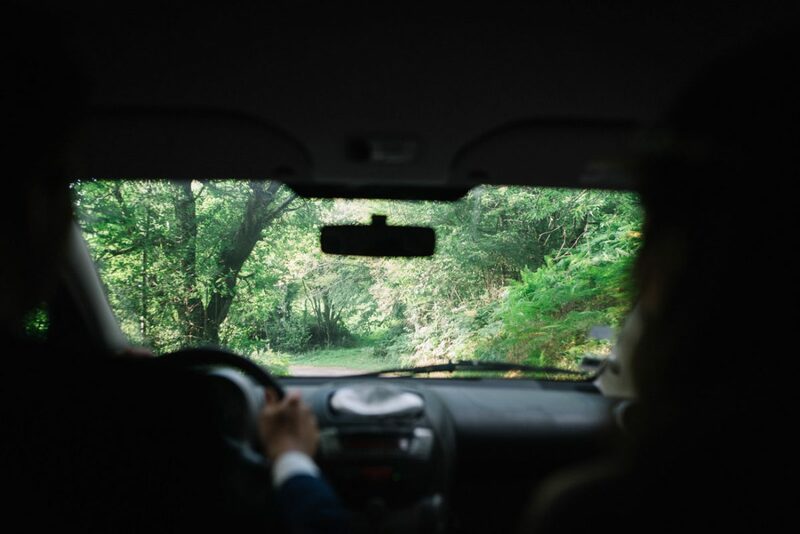 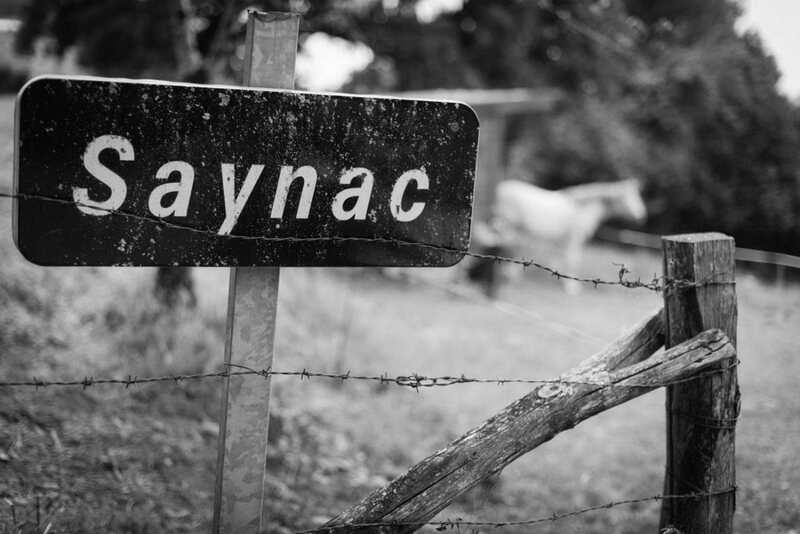 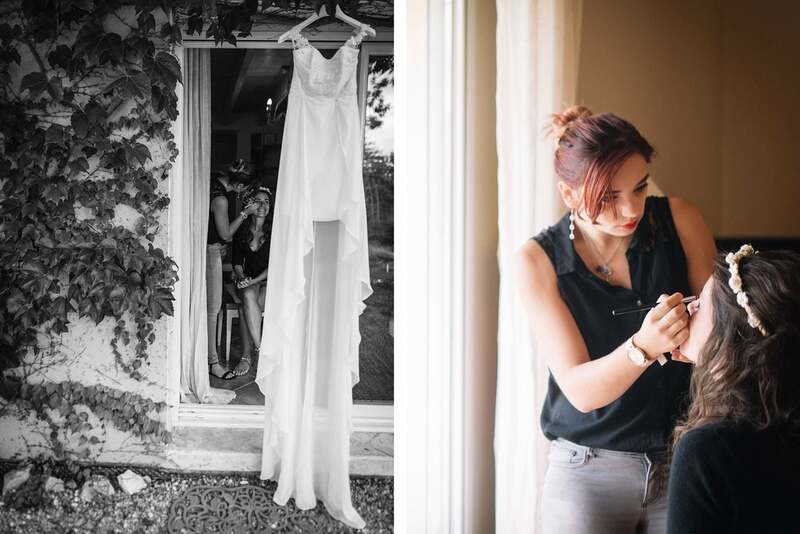 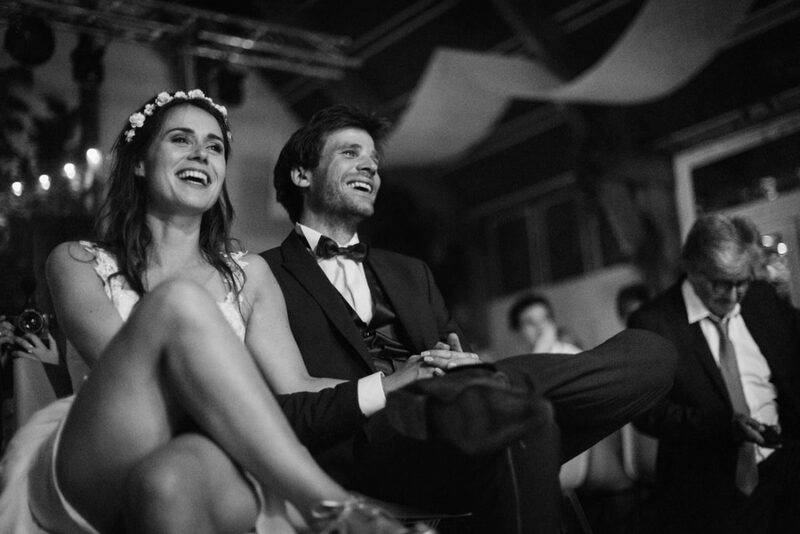 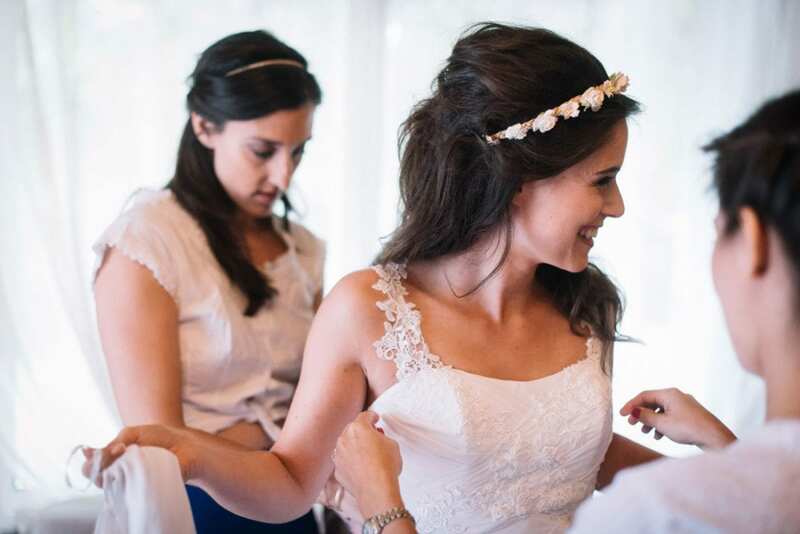 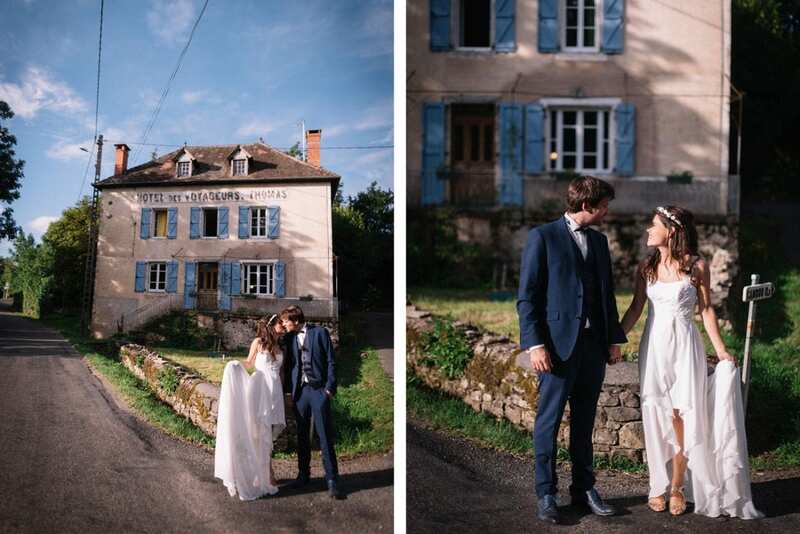 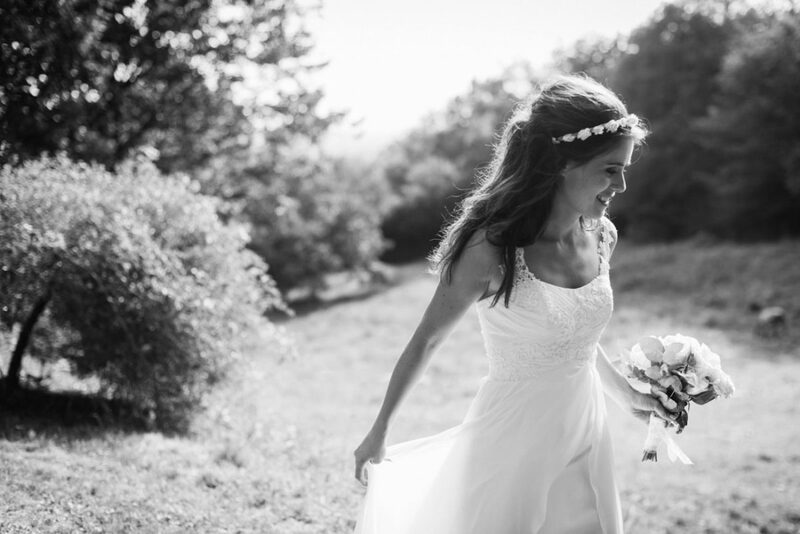 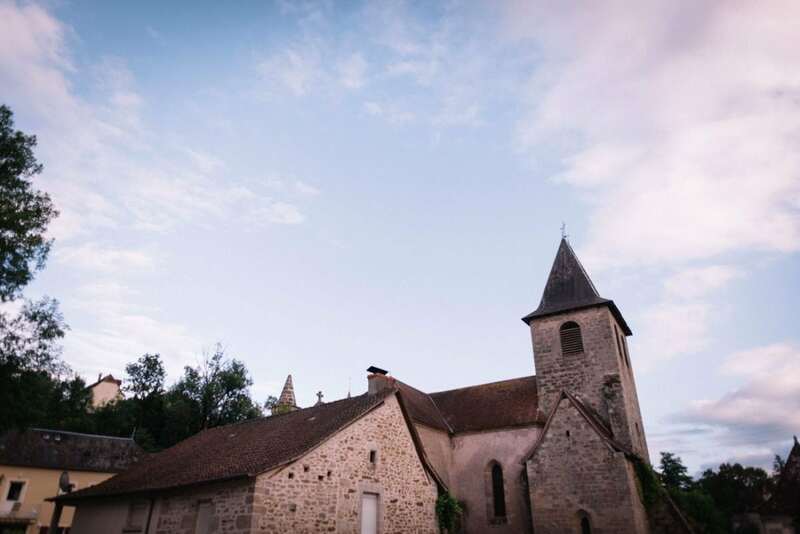 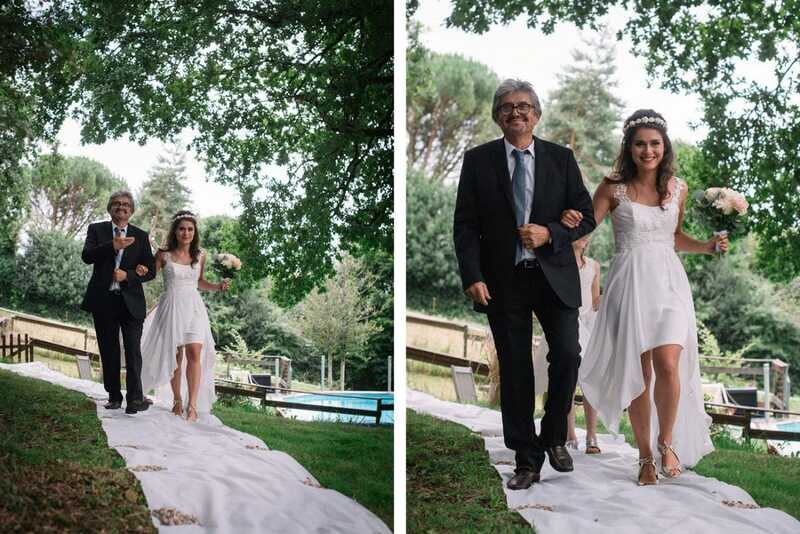 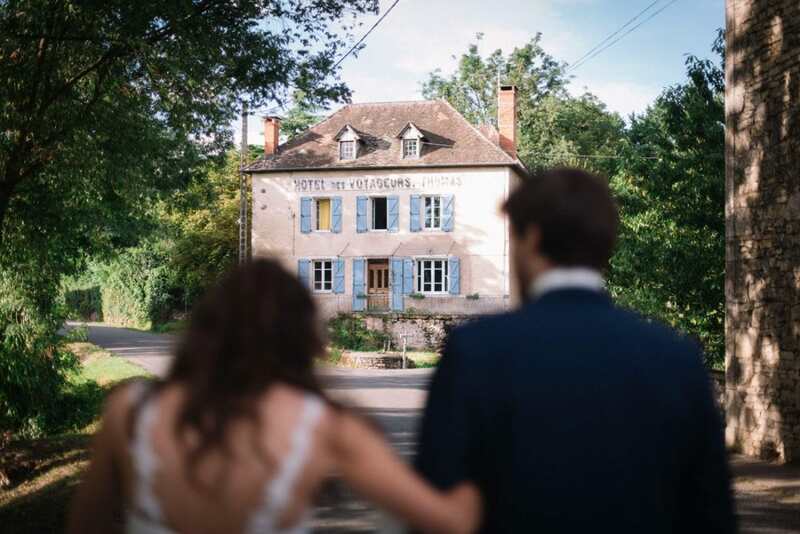 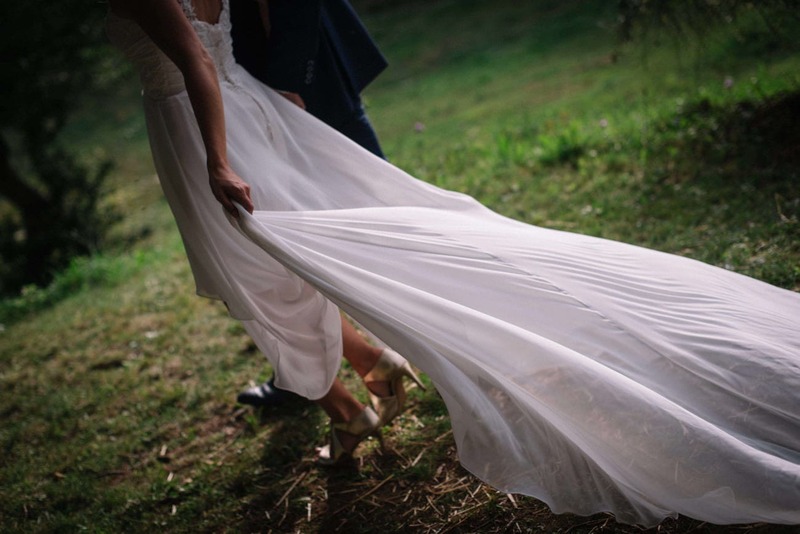 The couple lives in Paris, but they had their wedding celebrated in Aynac, a small town in the Lot Region where the bride’s mother was born. 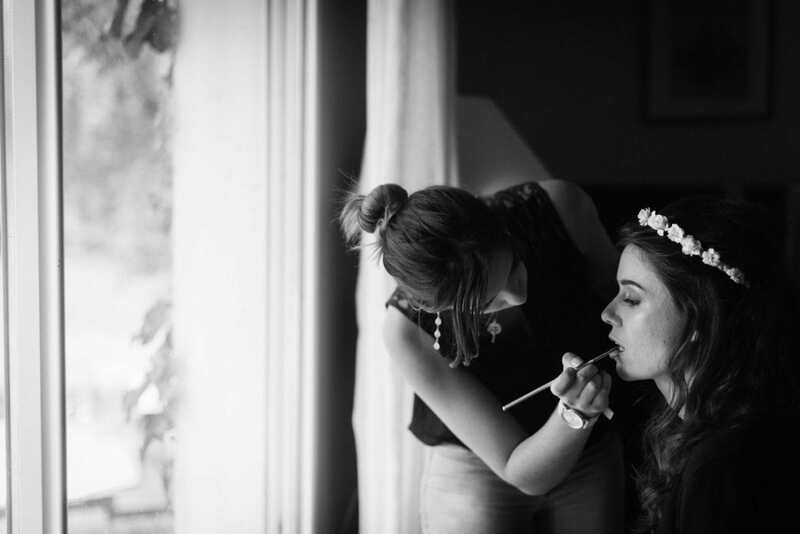 The bride got ready at her family home, surrounded by her closest friends and relatives, while the groom was staying at a rented house nearby. 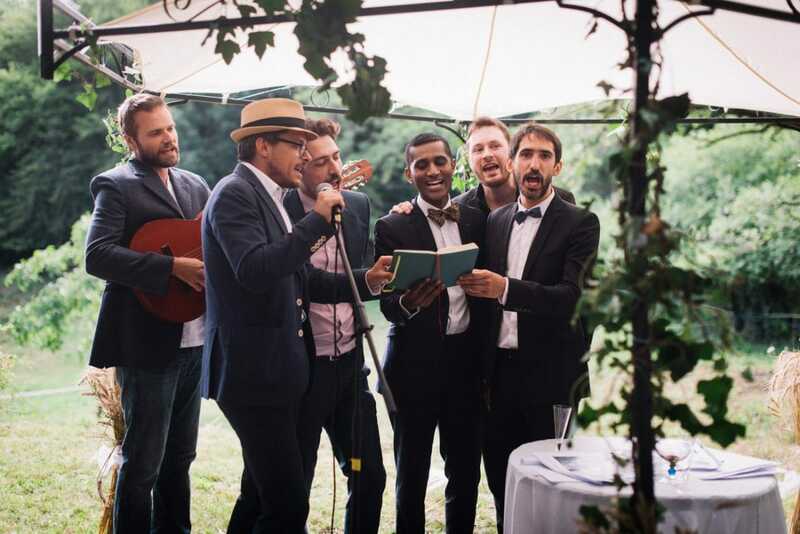 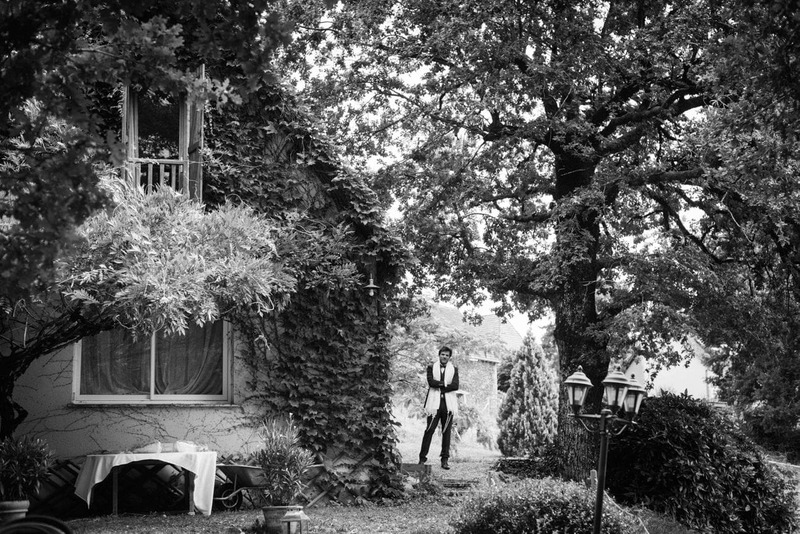 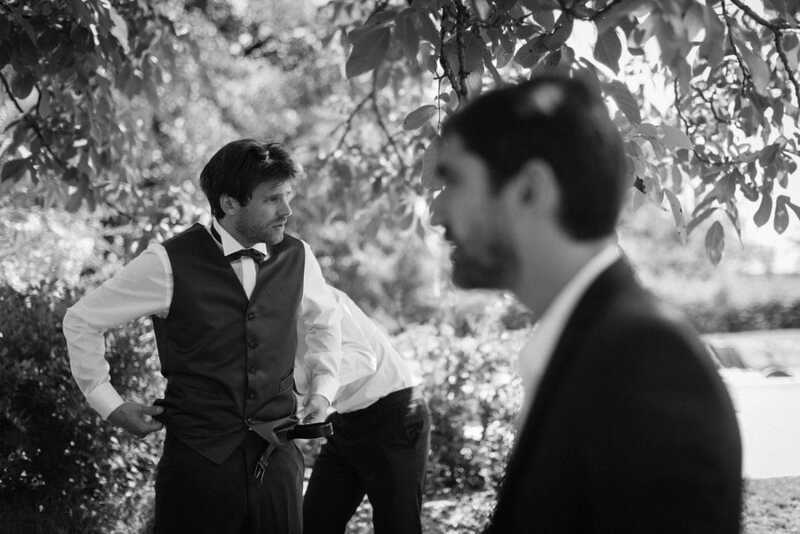 He put on his wedding suit outdoors, under an ancient tree with his best friends helping him. 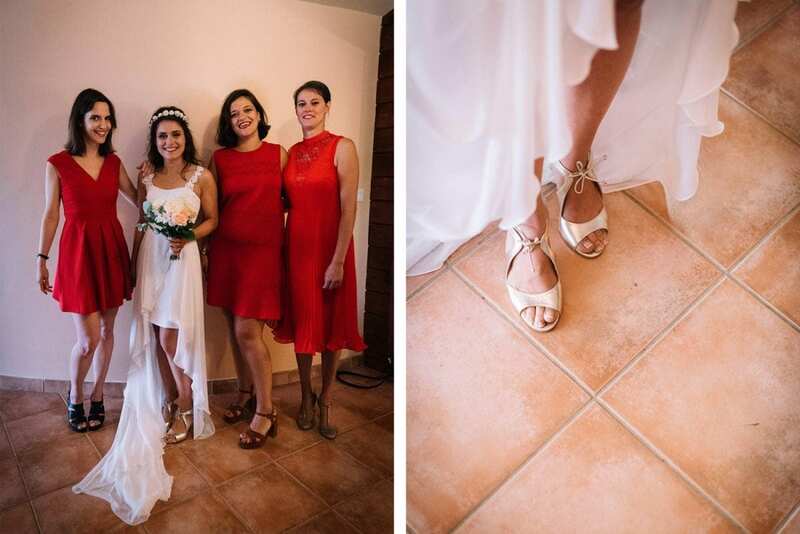 She had her best friends as bridesmaids in bright and short red dresses – they all looked amazing! 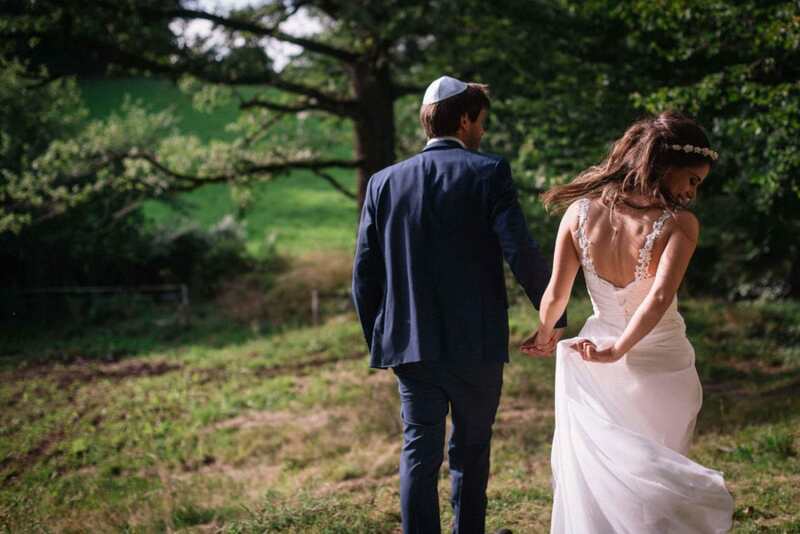 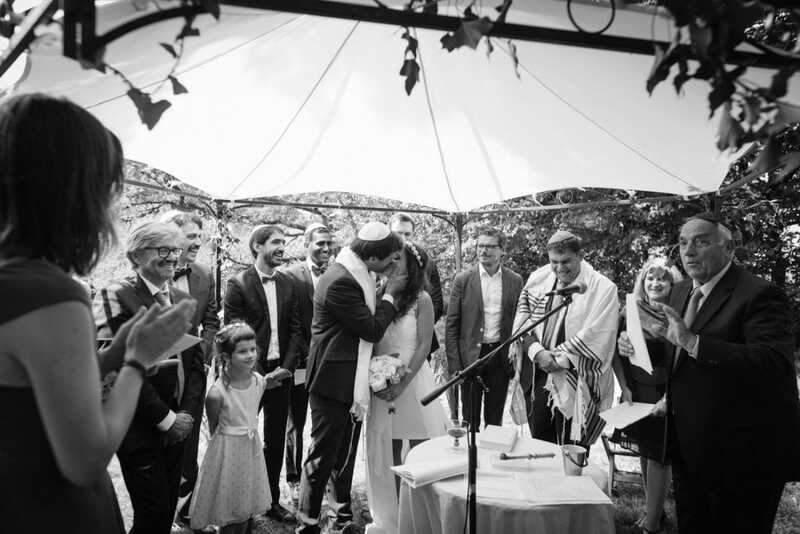 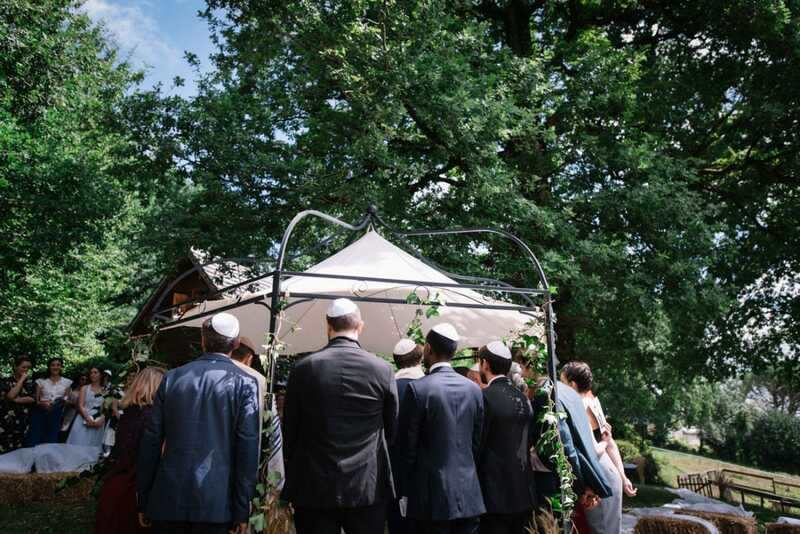 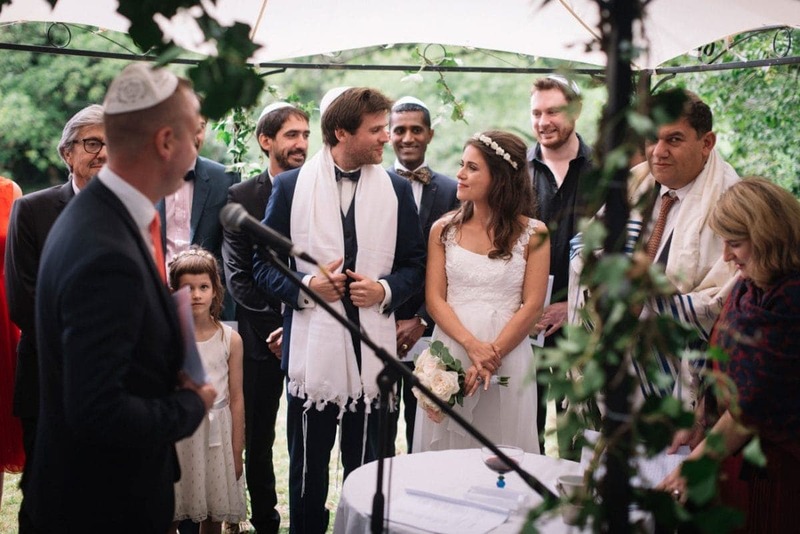 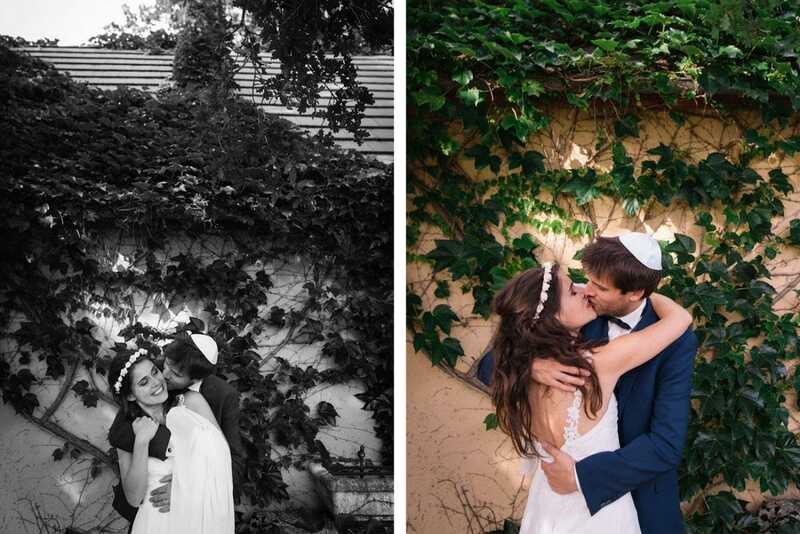 They had their Catholic Jewish destination wedding celebrated in the garden of their family home, under the traditional gazebo. 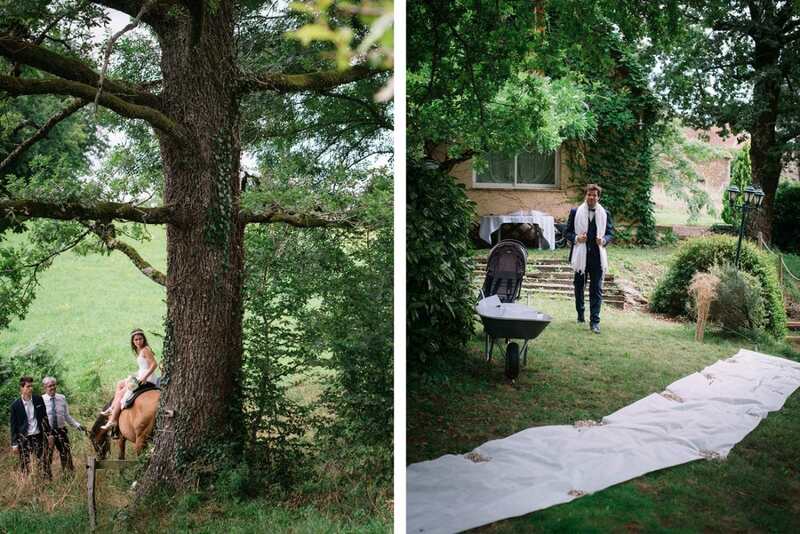 The bride reached the ceremony location riding one of her father’s horses across the fields surrounding their house – a lovely and exciting moment! 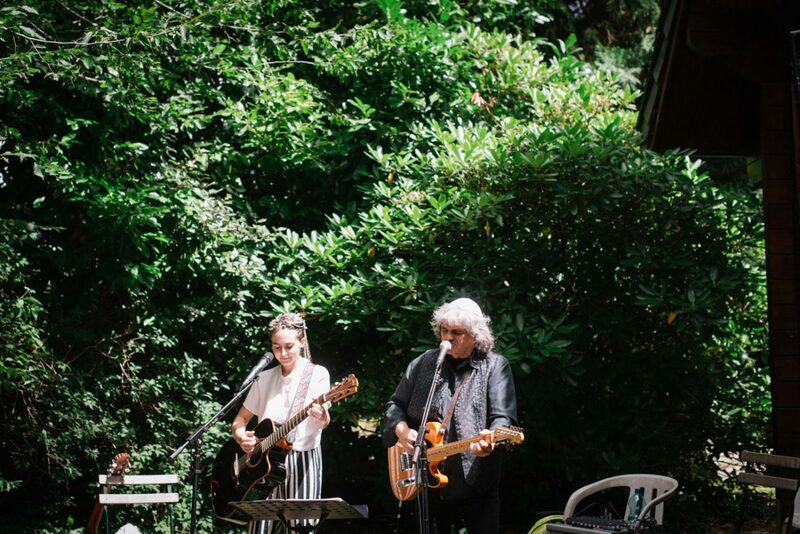 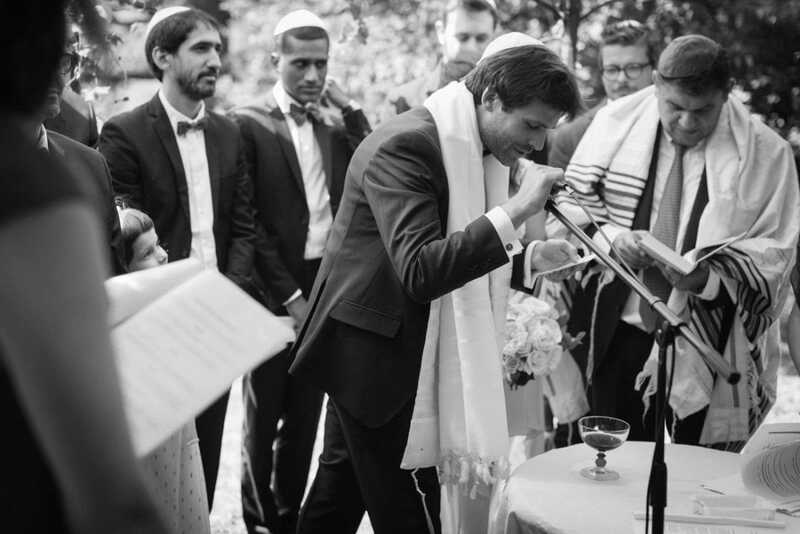 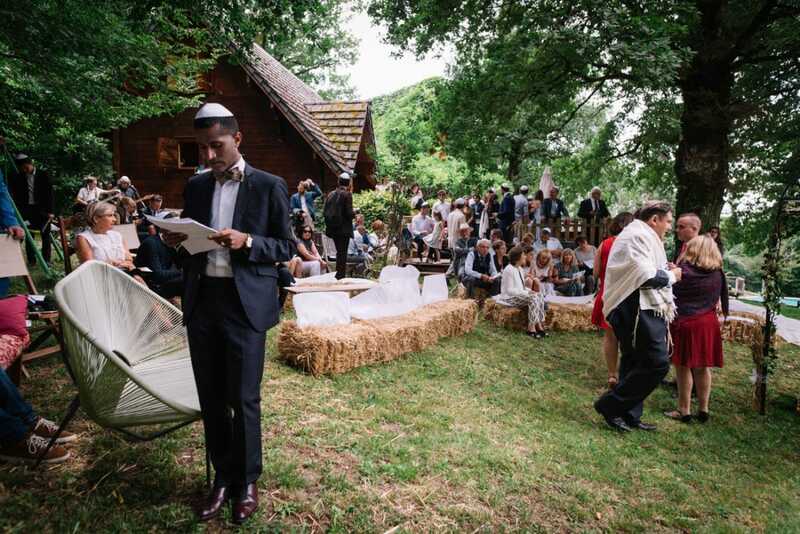 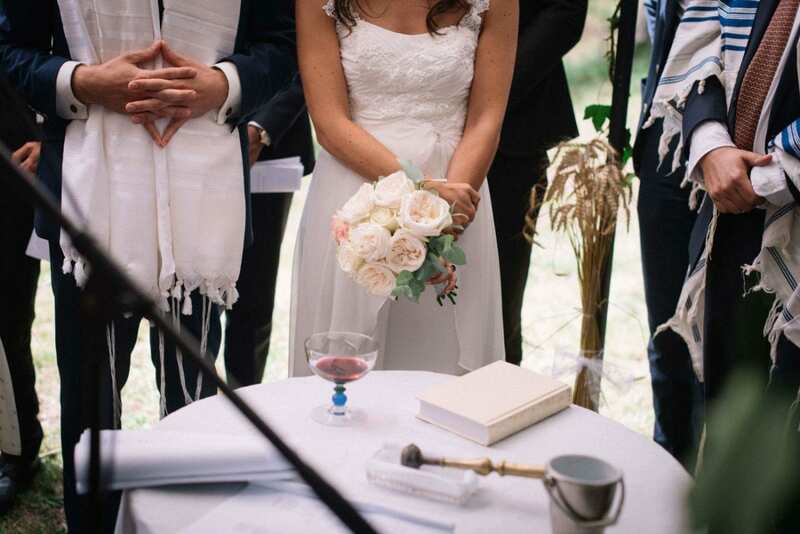 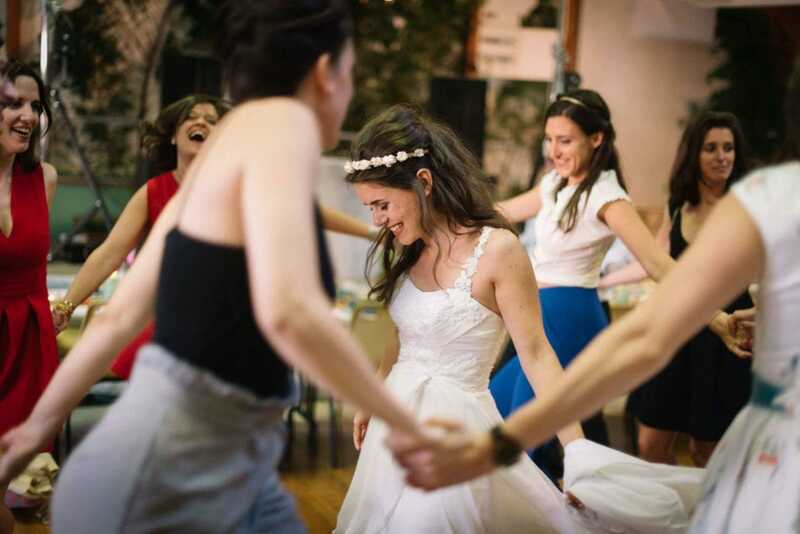 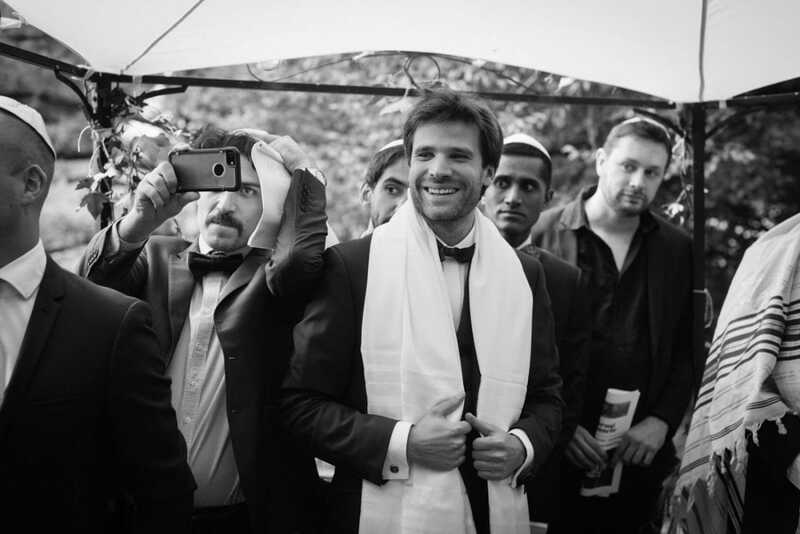 The celebration – so-called Ecumenic, as it combines the Jewish and the Catholic traditions – was very heartfelt and emotional, full with traditional songs and secular lyrics read by the couple’s closest friends, plus the readings from the Bible and the Torah. 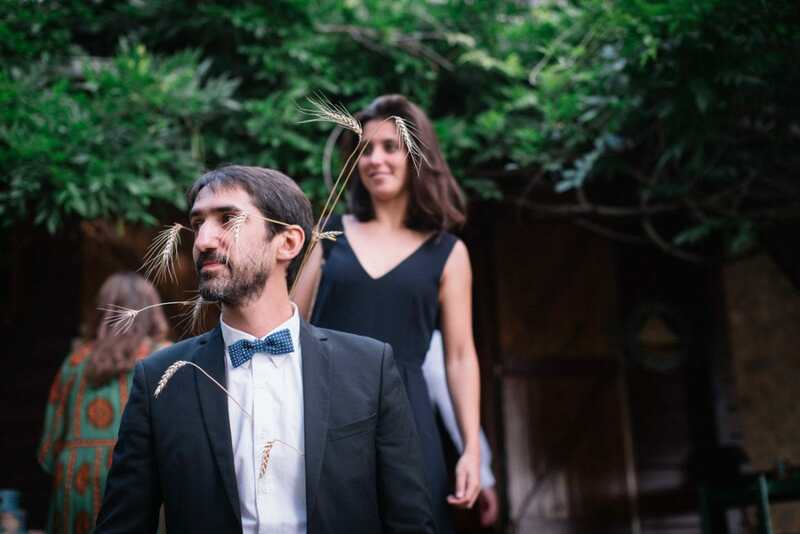 After the Ecumenic ceremony, the wedding party had a little aperitif on the terrace of the house while we had a small couple shooting with the newlyweds. 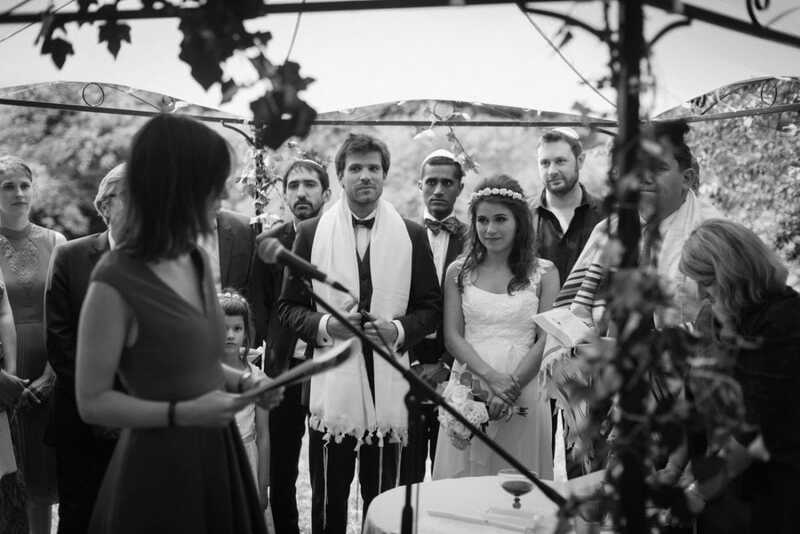 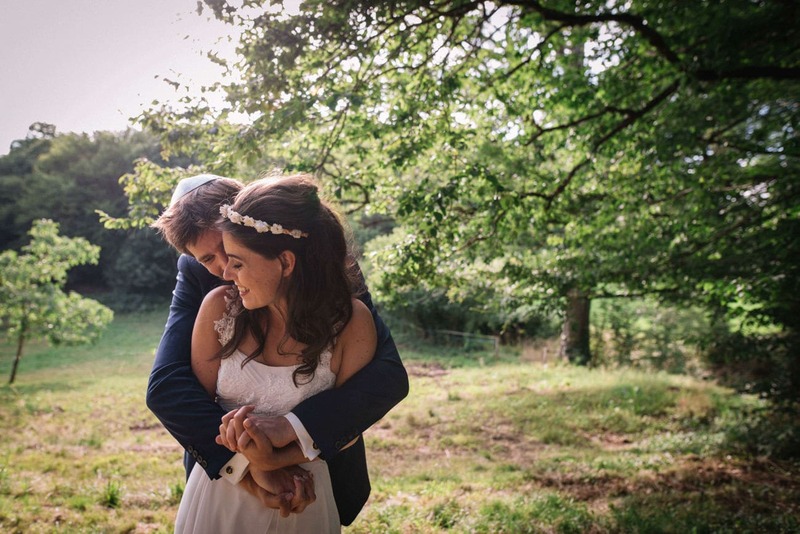 The couple’s best friends had some speeches prepared for them – a fun, emotional moment! 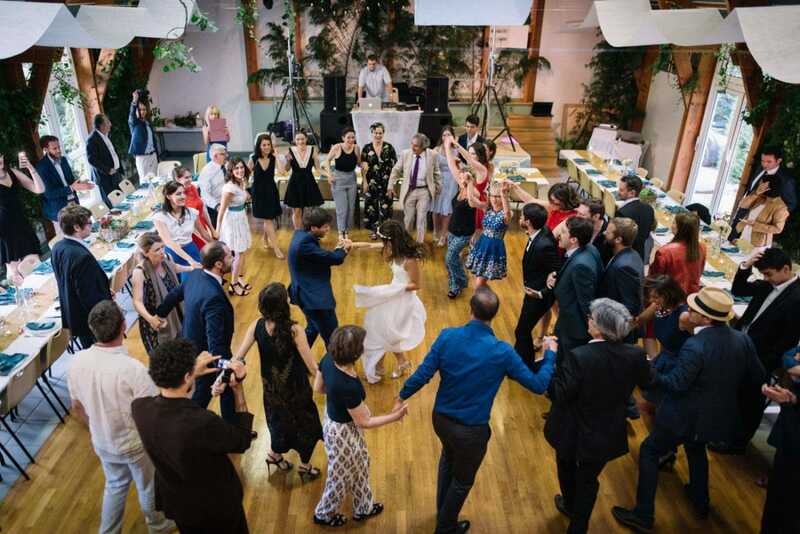 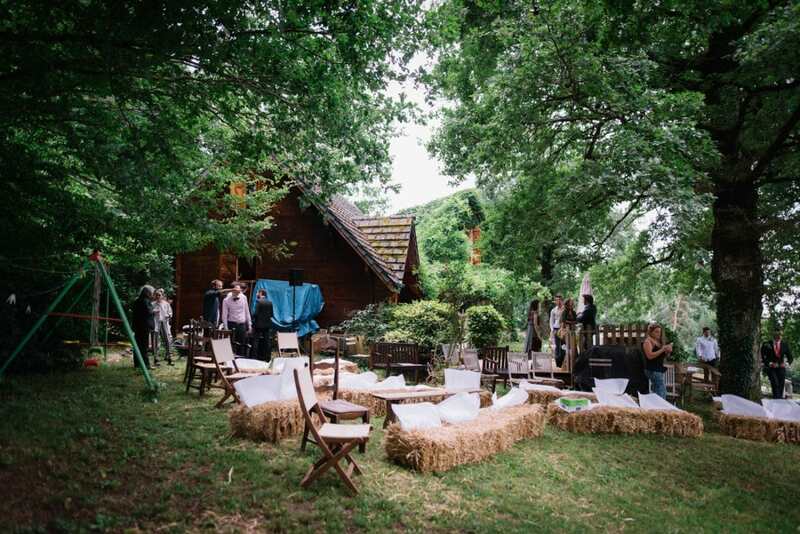 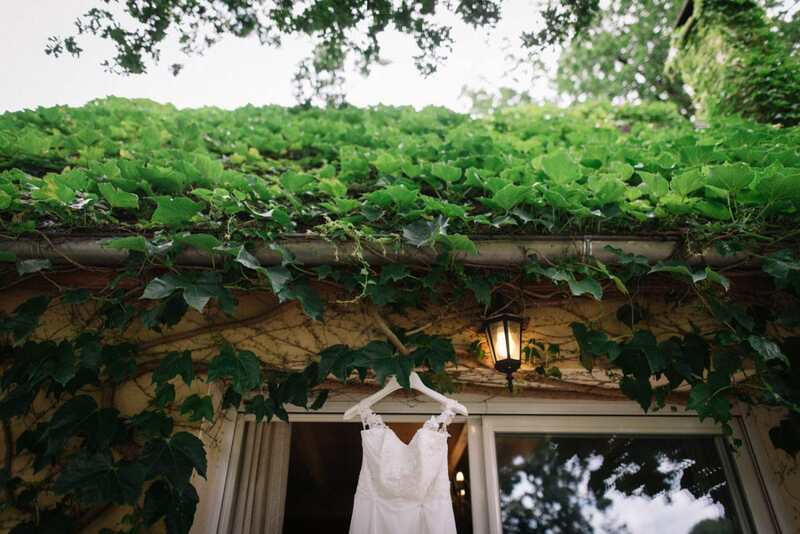 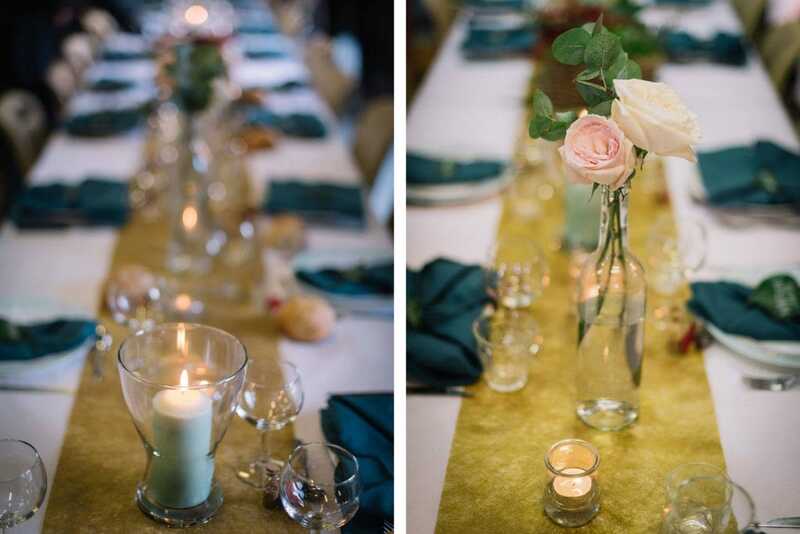 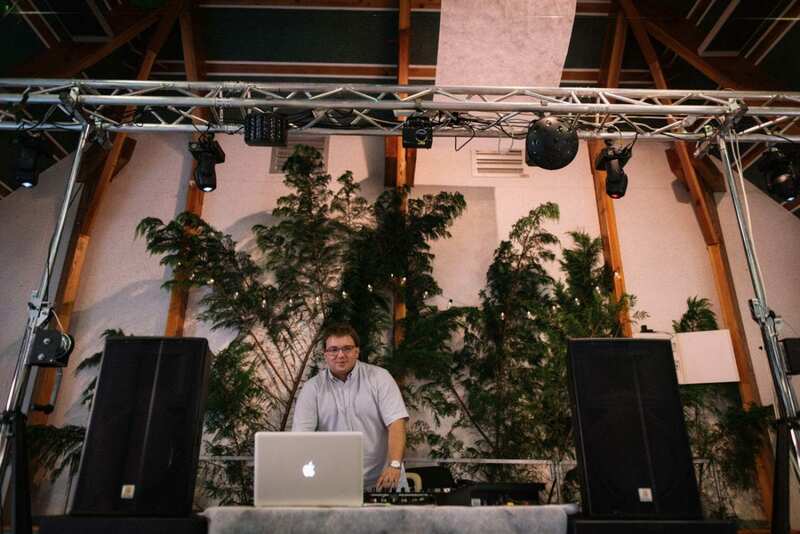 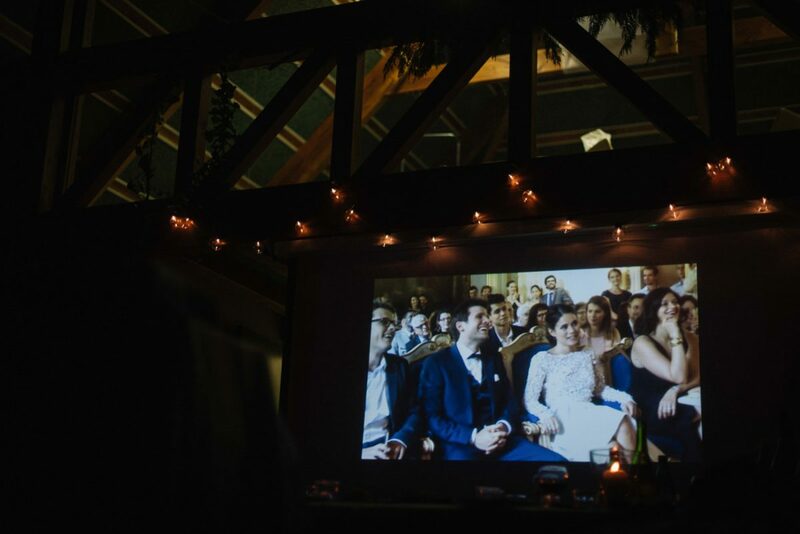 Then, we moved to the reception location – a party hall downtown, personally decorated by the couple with greeneries from the mountains around the place. 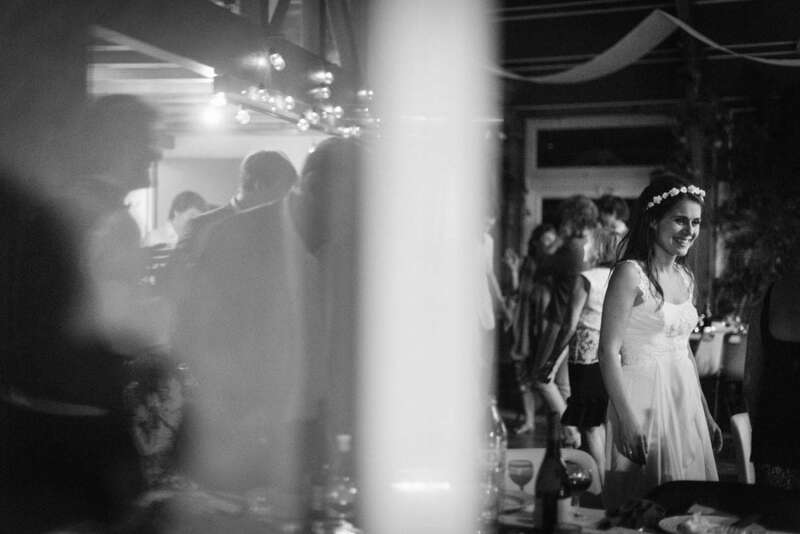 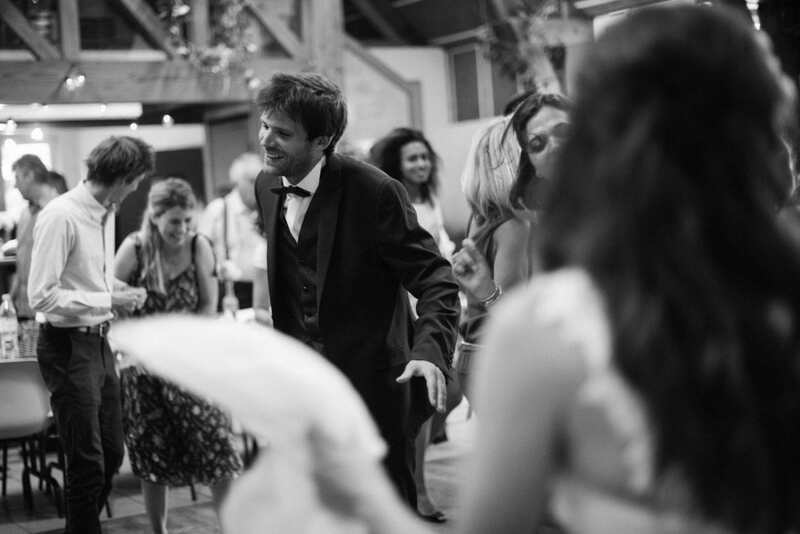 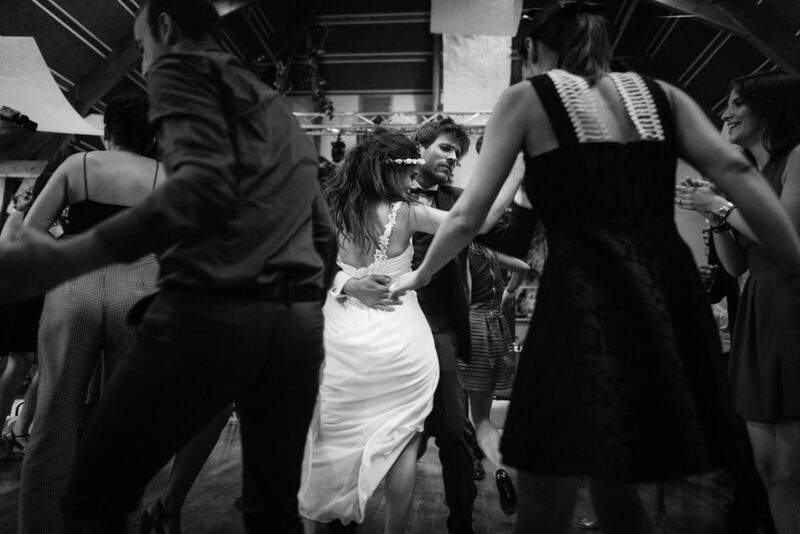 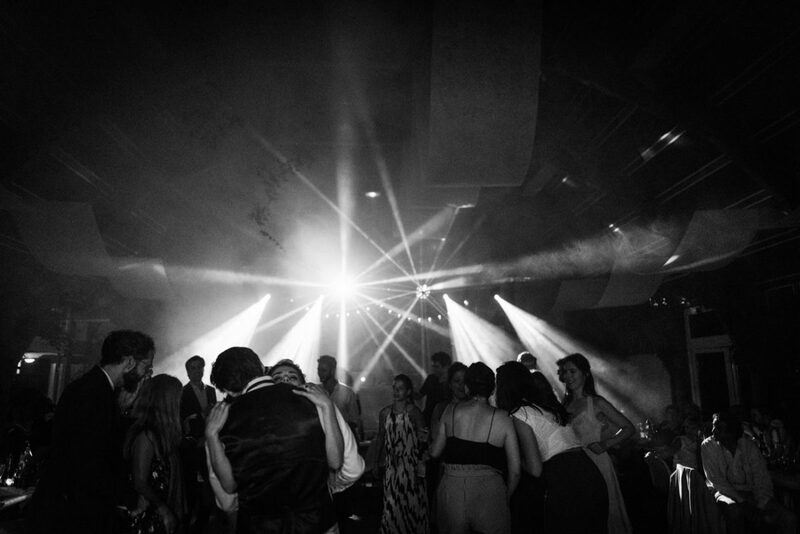 There, they had a huge party and danced until late in the night – it was just awesome!